His Eminence Alhaji Muhammad Sa'ad Abubakar III, Keynote Speaker, Recipient, honourary Fellowship/Grand Patronship Award, Chartered Institute of Loan and Risk Management of Nigeria at Lecture/Award by the Institute in collaboration with The DEFENDER, at Nicon Luxury Hotel Abuja, on Saturday April 28, 2018. Judge Bola Ajibola (Rtd): Chairman of Occasion. Governor Tambuwal of Sokoto State: Resilient as Leader of Federal Legislature and great as Governor in Nigeria’s Seat of Caliphate. 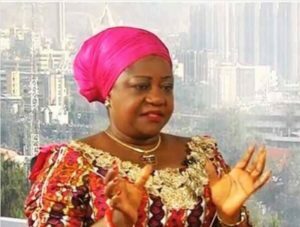 Aisha Muhammadu Buhari: A useful woman, wife and mother in challenging period deserve our award – CILRMN, The DEFENDER. 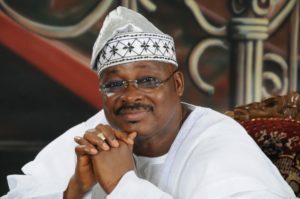 Governor of Oyo State, Senator Ishaq Abiola Ajimobi. 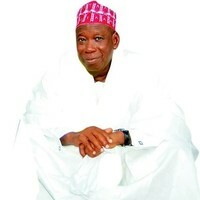 Governor of Kano State, Dr. Umar Abdullahi Ganduje. Ms Lauretta Onochie, Special Assistant to the President on Social Media and UK teacher: A woman of substance is one of two Guest Speakers at the Event. All roads will lead to the Nnamdi Azikiwe Hall of the prestigious NICON LUXURY HOTEL ABUJA on April 28, 2018 as Africa’s number four most influential monarch and Sultan of Sokoto, Alhaji Muhammad Sa’ad Abubakar III will give his Keynote Address and get decorated with the honourary Fellowship/Grand Patron of the Chartered Institute of Loan and Risk Management of Nigeria (FCILRM) at the maiden Annual Lecture/Award of the Institute in collaboration with Nigeria’s young but fast growing online media organisation, The DEFENDER. To be part of the success of the event, another great Nigerian who served his fatherland for over six years as Attorney-General of the Federation and Minister of Justice without taking Salaries neither receiving allowances (1985 – 1991), Judge Bola Ajibola, has graciously accepted to be physically on ground Chairman of the occasion. 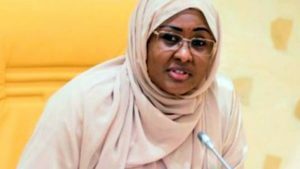 Also selected to for honour along with the Sultan, who is the nation’s number one most influential traditional ruler and world’s number 17 most influential Muslim, are the Wife of the President of Nigeria, Mrs Aisha Muhammadu Buhari, Governor of Sokoto State and former Speaker of the House of Representatives, Rt. Hon. Aminu Waziri Tambuwal, the Governor of Oyo State, Senator Ishaq Abiola Ajimobi, Governor of Kano State, Dr. Abdullahi Umar Ganduje, former Minister of Communications and one time General Officer Commanding, Third Amoured Division of the Nigerian Army, Major General Tajudeen Olanrewaju (Rtd) and a Governorship Candidate (2015) in Rivers State, Mr. Dakuku Peterside. Sultan Abubakar and all the honourees are exceptional personalities indisputably deserving of honour by the two organisations of CILRMN and The DEFENDER in recognition of their capacities to respectively and successfully manage crisis in ways that have saved the soul of Nigeria till present. 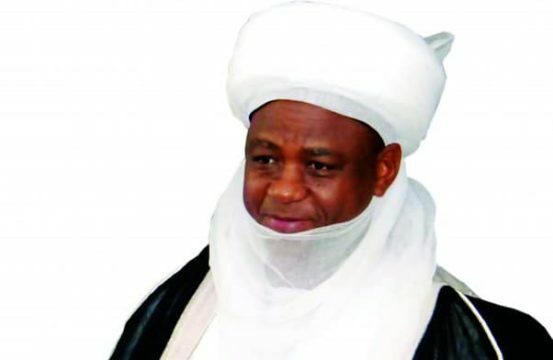 Whereas Sultan Sa’ad Abubakar III’s contributions to national, continental and global peace and development have been noticed by both the United Nations and the Vatican such that when the need to address each of the bodies arose in the past he was readily invited to address it on global security, peace and conflict resolution, Aisha Muhammadu Buhari’s celebration for her being useful woman, wife and mother complimenting her husband in a challenging period of national rebuilding, as well as Rt. Hon. 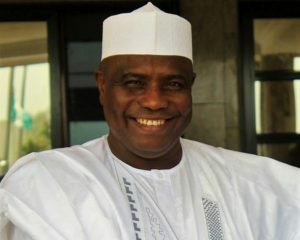 Aminu Waziri Tambuwal’s ability to scale through the complicated risks posed to his office as Speaker of House of Representatives (2011-2015) and his person by the highest power in the country at the time continue to impress the Chartered Institute of Loan and Risk Management of Nigeria (CILRMN) and The DEFENDER, which have therefore deemed it fit to show the rest of Nigerians and the world in general that resilience and perseverance at struggle for better society pay. 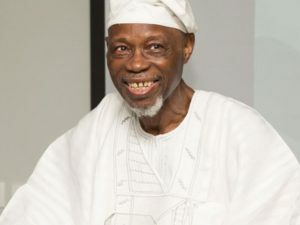 Governor Ajimobi’s specific quality that is known to the honouring organizations will come handy as General Tajudeen Olanrewaju will be celebrated for his giant stride in standing on the part of change, which cost him a great deal of injustice on the part of highest powers that be while others received their own rights in the build up to the 2015 election. Although details of the programme will continue to unfold as the count-down begins, two top Nigerian intellectuals including the Special Assistant to the President on Social Media, Ms Lauretta Onochie, will present papers on the theme, “Towards National Integration and Economic Development of Nigeria: The Online Media and Risk Management Approach”. 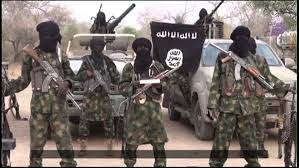 According to the Registrar-General and Chief Executive Officer, Chartered Institute of Loan and Risk Management of Nigeria (CILRMN), one of the partners, Dr. Uzombah Innocent (FCILM), “We have decided to plan big for these great Nigerians to appreciate our doing-well people right in their lifetime. We observe that Nigerians have all along appreciated their great minds only after they have passed on. CILRMN and The DEFENDER are changing the narratives. There are many other great Nigerians but our event for the celebration of them is continuous,” Uzombah said. Speaking further he said, “The DEFENDER is an online media that has moved straight into the global scene delivering knowledge-driven, non-sensational journalism in Nigeria with a clear vision of defending the truth and national integrity. It aims to be the most respected online media in Nigeria and beyond,” he said. Chartered Institute of Loan and Risk Management of Nigeria has its Council constituted by Chief Sir O.A. Bailey (FCILRM), President/Chairman, Prof. Onatolu Odukoya (FCILRM), Alhaji Abubakar A. Faggo (FCILRM), Prof. Julius Okojie (FCILRM), Alhaji Abubakar Hassan (FCILRM), Dr. Mrs Abdulai Ovuodo (FCILRM), Prof. Ifeyori I. ihimodu (FCILRM), Dr. Kayode Oladimeji (FCILRM), Ambassador Danforth O. Edobor (FCILRM) and Dr. Uzombah n. Innocent (FCILRM). On the advisory board of The DEFENDER since its establishment in 2002 are Retired Assistant Inspector-General of Police (AIG) Alhaji Mu’azu Idris Hadeija (Chairman), Chief Kola Animasaun, Alhaji Aliyu Muhammad, Alhaji Babatunde Jose (Late). In the meantime, Registrar of Crescent University Abeokuta, Nigeria, Barrister Ademola Ajibola, Publisher, Northeast Star Magazine, Dr. Sani Abubakar, immediate past Vice Chancellor, University of Ilorin, Prof. AbdulGaniyu Ambali, others have sent in their messages indicating their intentions to be physically present at the event.